Do you feel the weather has been particularly hot, very very hot! In this season, do bring a bottle of water when you are out, and should drink before you feel thirsty, to prevent heat stroke. 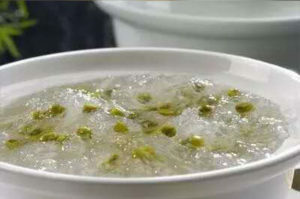 As highlighted in the first module of the “TCM herbal Diet” course. As we entering the “Summer Commences solar term (LiXia)”, the overall weather’s temperature will gradually rises, rate of thundering rainfall will also increase significantly, the general health maintenance approach is focusing in maintaining a Healthy Heart Visceral systems, prevention of heatstroke, cleansing of dampness and preservation of the body’s yang. Under the influence of high temperature, heat and humidity, some diseases will also occur more frequent during this period. Most people will be taking cold foods in this period, which could easily damage the stomach. This is the period which we need to be more care about our digestive systems, the spleen and stomach systems. 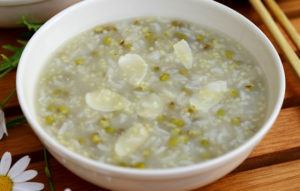 From the diet perspective, it is best to consume foods which have heat cleansing and diuretic properties, such as porridge and soup, which help to quench thirst, promote fluid secretion, relieve heat, and nourishing to the body. Foods with heat cleansing and diuretic properties are watermelon, bitter gourd, plum, strawberries, tomatoes, cucumbers, green beans, which have a certain refreshing effect. High temperatures, humidity, thundery shower, and sudden changes in the weather often induce or worsen headaches. 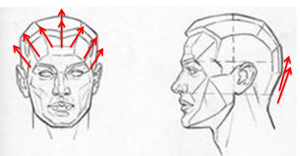 Couple with lack of sleep, emotional, mental fatigue can also further induce headaches. During this period, we should avoid excessive reliance on drugs. The symptoms can be moderated through ensuring adequacy of fluid in-take, avoidance of cold foods, regulating your emotion and pay attention to rest. Warmer weather is conducive to the growth and reproduction of various fungi and bacteria. 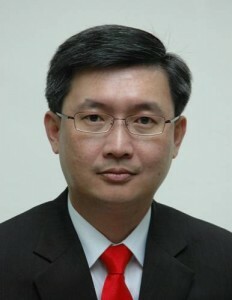 In addition, Singaporeans are generally prone to perspiration and the skin is often sweaty and wet. If they are not wiped clean and dry, the fungus will develop in our skin and cause skin diseases. During this period attention should be channel to personal hygiene, keeping the skin dry. Clothes, blankets, towels, should be clean and disinfect frequently. In this article, I will introduce three medical diets (detail of the therapeutic effect of the ingredients are covered in the Herbal Diet Class) and three acupuncture points and hair combing techniques, that are suitable for the Summer Commences’ solar term to help in promoting flow in the meridians, nourishing the heart systems, clearing heat and dampness. 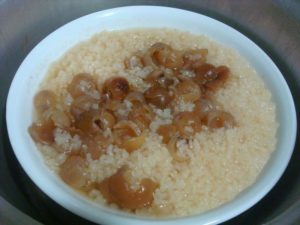 [Ingredients] longan 25 grams, rice 100 grams, rock sugar to taste. [Efficacy] Nourishing heart and spleen, nourishing blood and calming. [Ingredients] Barley 20 grams, Green bean 20 grams, Rice 50 grams, Lily bub, rock sugar to taste. Hair combing beside help in relieve fatigue, it also help to keep the keep hair healthy. 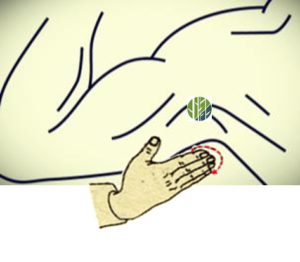 TCM believes that “All Yang meridians converge at the head”, combing hair can stimulate the acupuncture points of the head, invigorating the meridian, regulating nerve function, improve the blood circulation, and promote metabolism. Frequency: At least once a day. 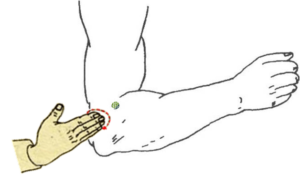 Located at the apex of the axilla, the acupuncture point of the iliac artery is an important acupuncture point of the Heart meridian. 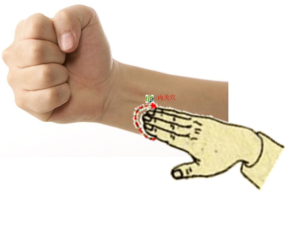 Massaging this point can help to cleanse the heatiness from the heart. Frequency: About 3 minutes, at least twice a day.